You'll need some time to chill out and reflect upon your lunchtime feast before setting off once more. However, 7 hours, less travelling time, should be enough to get you back in town for the Friday night duo set at the Jazz Café by Julija Jacenaite (vocals) and Steve Glendinning (guitar) although, as it's advertised as by Julija and Friends, expect the duo to be quickly augmented! 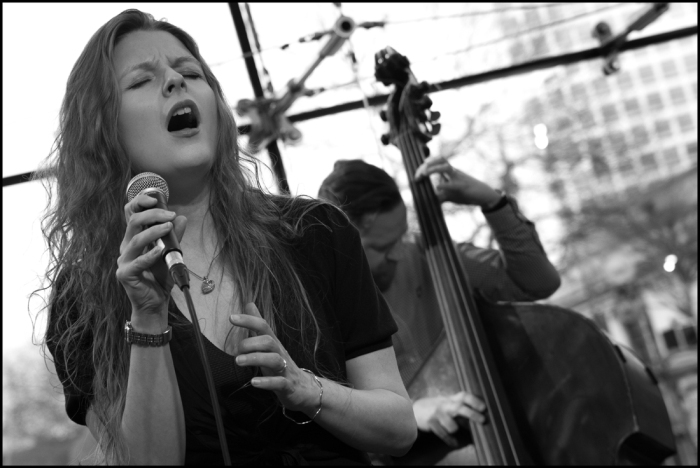 The Lithuanian born singer has made quite an impact on the northeast jazz scene. One thing is for sure, the joint will be jumping! And it's free! 9pm start. Sunday, late afternoon, early evening, Hoochie Coochie's the only game in town. Jason Isaacs and the Ambassadors of Swing will be spreading the gospel according to the apostles Frank, Michael, Bobby, Elvis and Tony as well as a few latter-day saints. 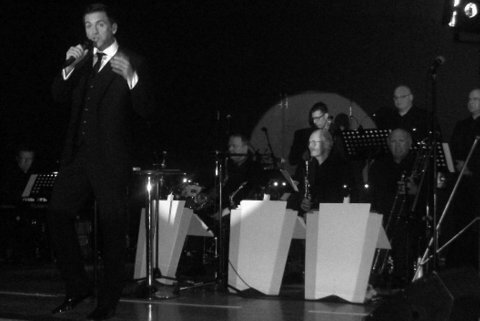 Backed by the most swinging band this side of Las Vegas, if swings your thing then The King will be on stage at 5:30pm but get there early (doors 4pm) otherwise the former bobbysoxers will have all the best vantage points. 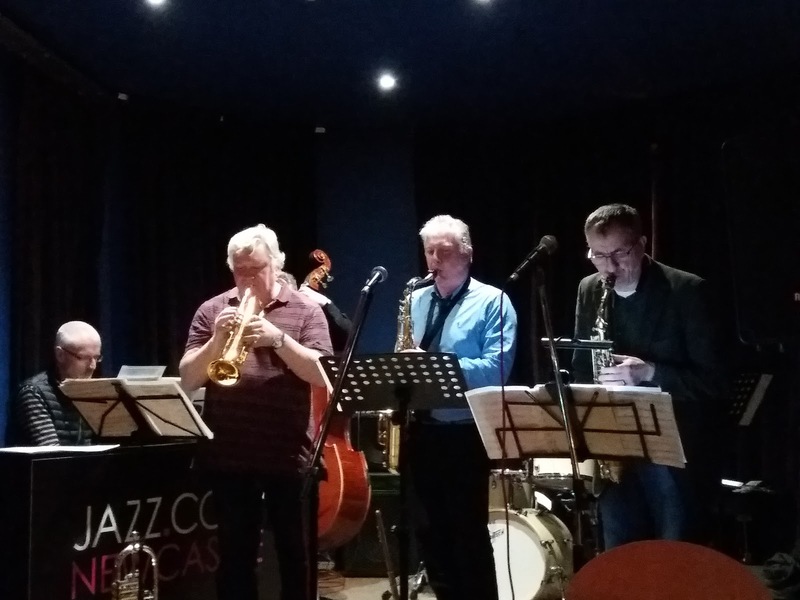 Those who are fleet of foot or own a fast set of wheels may just manage to get over to Blaydon Jazz Club (Black Bull, Bridge St., Blaydon N21 4JJ) in time for an 8pm start by the Zoe Gilby Quartet. 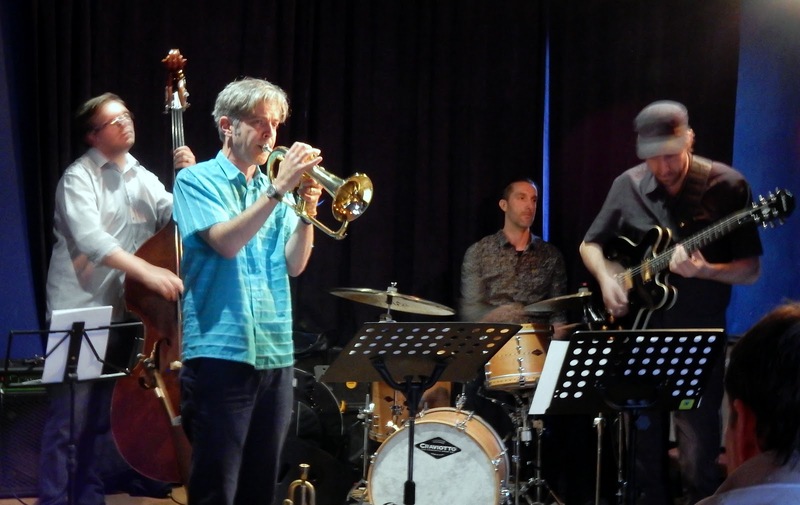 In the first concert of the season at the long-running jazz club, singer Zoe will have Mark Williams (guitar); Andy Champion (bass) and Russ Morgan (drums) with her for an evening of standards, contemporary songs and originals penned by herself and husband Andy. 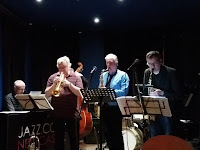 When operating on such a tight schedule as Sunday it's always good to have a Plan B so if you stay too long at Hoochie to get to Blaydon or if the lasses lose their crinolines, as, according to legend so often happens when 'gannin' along the Scotswood Road' then look no further than The Globe Jazz Bar at 11 Railway St. where the Jazz Coop present Alter Ego (photo courtesy of Russell) who blew up such a storm at Darlington last weekend. This bop-inspired band never fail to impress. 8pm. Talk about being spoilt for choice! This is going to be a weekend to remember! So don't forget! PS: I should also mention that KOAN 7 are at The Globe on Saturday night but, as I've never heard them it would be unfair of me to comment.